We are delighted to announce that Rarewaves has been awarded the Queen's Award for Enterprise: International Trade 2018. The Queen’s Awards for Enterprise are the UK’s most prestigious business awards, recognising and celebrating business excellence across the UK. This accolade is awarded for Rarewaves’ outstanding international growth. It is presented following recommendation to Her Majesty The Queen by the Prime Minister. Awards were made on Saturday 21st April, the occasion of the Queen's 92nd birthday. The Lord-Lieutenant of the County, The Queen's local representative, will present the business with the award at a ceremony later in the year. Rarewaves' directors, Brad Aspess and Rob Evans, will also attend a reception at Buckingham Palace in June. Commenting on the award win, Rarewaves Chairman Brad Aspess said: "Winning any award is always fantastic, but this one is something special. It gives the business, our wonderful team and the many stakeholders we work with the recognition they deserve. We never in our wildest dreams thought we would actually win, so we are obviously delighted." Business Development Director Rob Evans added: "It's an unbelievable achievement and we are extremely proud. The whole team has worked tirelessly to get us to this point, and we see this as only the beginning of what this incredible company can achieve." We partner with some of the most trusted websites around the world. The Amazon Growing Business Awards are the most credible and highly valued recognition of exceptional growing businesses. 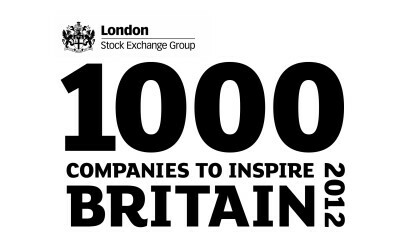 Now entering their 20th year, these are the accolades that UK SMEs really want. Supported by the CBI and sponsered by Amazon, Rarewaves were a finalist in the Export Champion Of The Year category, celebrating UK companies succeeding in the international marketplace.